Classic Film and TV Café: Introducing the International TV Blog! Introducing the International TV Blog! We're pleased to announce that the International TV Blog has joined the Classic Film & TV Cafe's "family." The focus of this new blog is on television series from Great Britain, Japan, Australia, and around the globe. 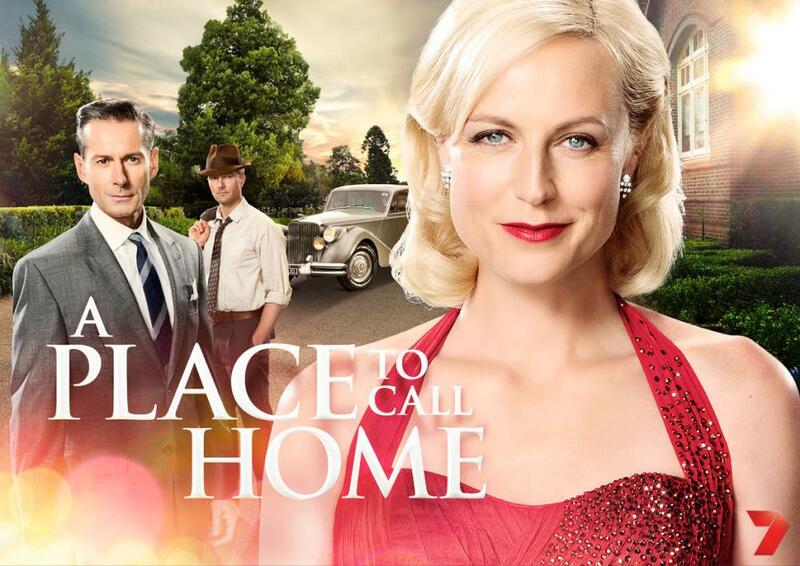 Its first review is about the addictive Australian television series A Place to Call Home. Set in the 1950s, it centers around Sarah Adams (Marta Dusseldorp), a nurse who has returned home after many years. When her reunion with her mother does not go well, Sarah accepts a job in the rural town of Inverness. Sarah becomes involved with the Bligh family and its powerful matron Elizabeth. The two women clash frequently, in large part because Elizabeth's son George is attracted to Sarah--but also because Sarah knows a secret about one of the family members. The strength of A Place to Call Home is how its gradually reveals pertinent details about its characters' pasts. For example, it's evident that Sarah is a woman of strength and perseverance from the moment she's introduced. However, the series slowly reveals the pieces from her past that made her that way. Likewise, it's not until season three that we learn how some of George's actions were driven by his relationship with his now-dead father. You can visit the International TV Blog and read the full review. In fact, we hope you'll drop in from time to time to see what's new in the world of international television. Great idea, Rick! And "A Place to Call Home" is the perfect way to share international TV. Alan Ladd Betrayed in "Captain Carey, U.S.A."
Nighthawks Makes Me a Winner!